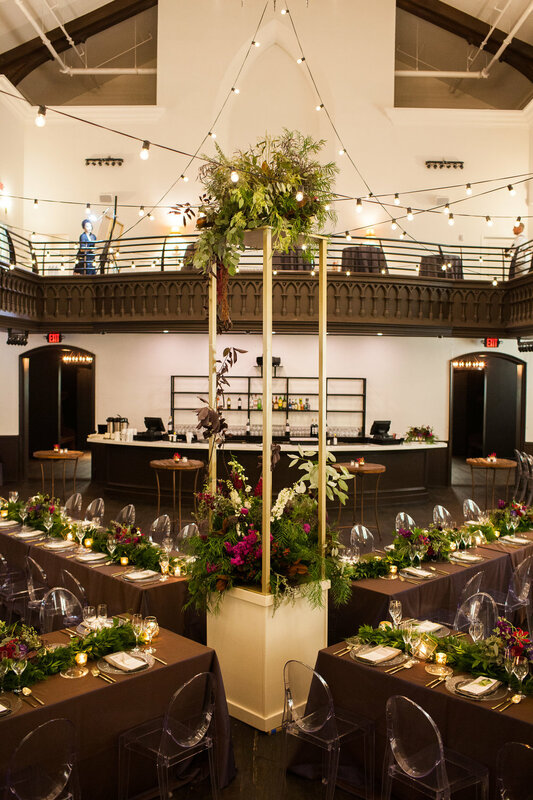 Located in downtown Cincinnati's historic Over-the-Rhine district, The Transept is a restored former Gothic style church that now hosts weddings and other special events. 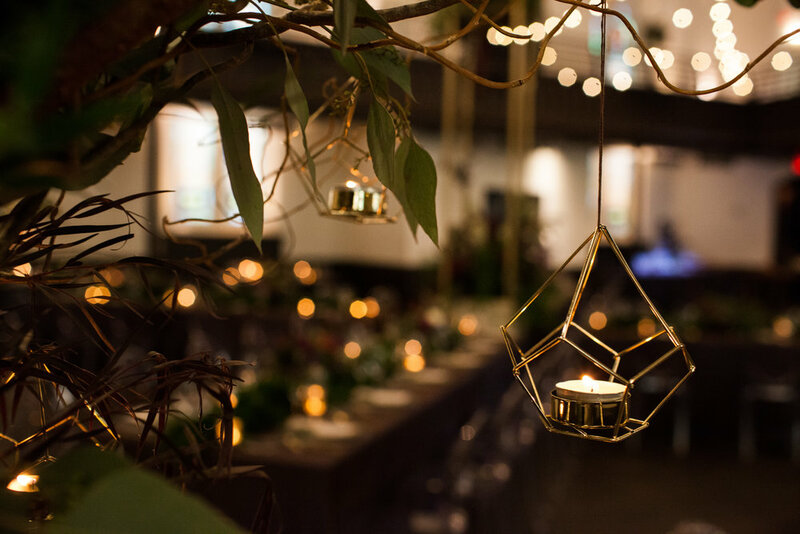 Viva Bella Events worked their magic in the former nave for this elegant wedding reception. Guests sat on both levels, the cafe lights and hanging florals tied the separate floors together. Gem tone greenery, rich magenta and cream florals and warm candle light contrast perfectly with the high ceilings and open architecture of the space. We created several large focal arrangements that were highly textured and playful for the eyes. We loved how the ice and floral arrangement turned out! We took florals to a new level of artistry with Artic Diamond Sculpture. We created an arrangement that was frozen in beautiful clear glass-like ice. 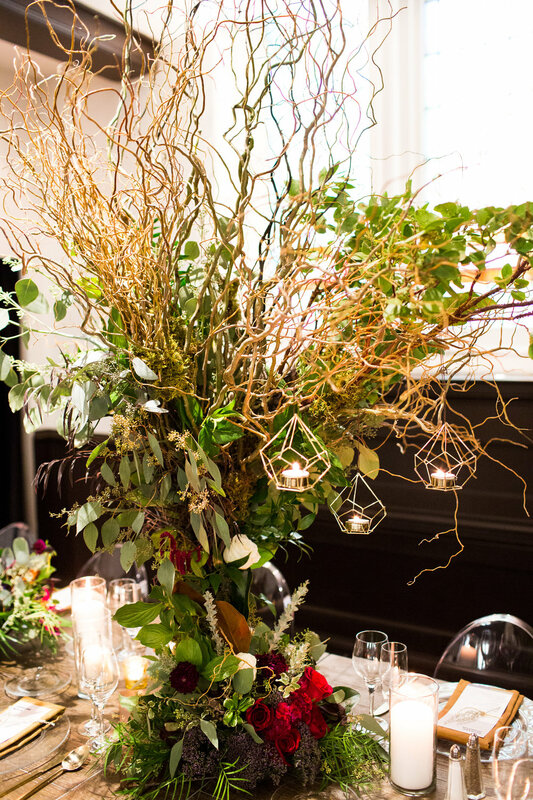 A truly memorable statement piece for this modern, unique and romantic wedding reception at one of downtown Cincinnati's most historic venues.